I have a bad habit of starting a book and then moving off and getting interested in something else. I have a stack of books with bookmarks in the middle that are always pending and I think it is safe to say that pending stack is my summer woodworking reading list. Maybe I’ll get distracted again and start to build something out of one of them again. 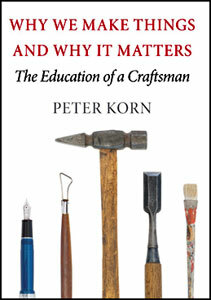 Why We Make Things and Why It Matters by Peter Korn. Don’t you always wonder why you make things? It’s kinda odd, isn’t it, that you can’t stop making things. Read this book and see why you make things. And then on top of that, you may be able to find out why it matters. Coffin Making and Undertaking edited by Paul N. Hasluck. This may seem a strange choice, but then I’m a little weird sometimes. My family has a long history in the funeral business and the genesis of that is likely my Great Grand Father who built buggies and wagons for a living. I am sure that when a casket was needed in the little town where he (we) lived, he was the one who was called. Things like making caskets do not change quickly, and this book first published in England about the turn of the last century is very likely similar to the way GG Father made caskets. 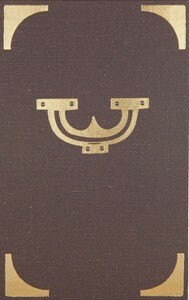 With a chapter on lead caskets and another on how to move a casket down a narrow stairwell, this little book should be very useful if the need ever arises. Campaign Furniture by Christopher Schwarz. I have been cycling through this book over and over. I built the three legged stool from the book and then later made the Roorkee Chair. Working with leather for the first time was a treat and both items turned out well. I will build everything in this book vicariously, I’m sure. I love the way Schwarz writes, the depth of coverage and research he does before he writes his books, and the way he makes the things he writes about as he writes about them. I’m definitely going to keep this one in the reading cycle. Maybe someone will publish something new this summer. I always look forward to a brand new woodworking book. Enough with the BOOKS ALREADY I can go to the library or google it! Lee Laird – My 2016 Summer Woodworking Reading List Latest Woodpeckers OneTime Tool: Bevel Gauge released today!